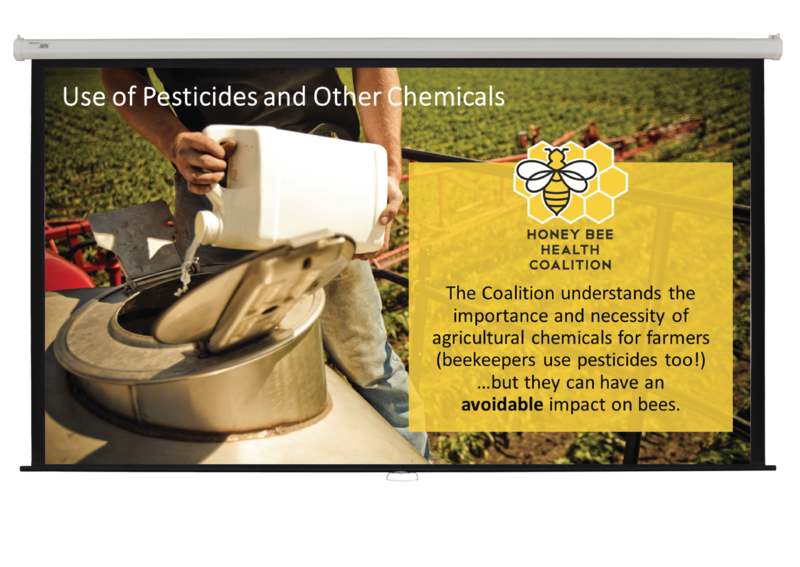 conservation groups, manufacturers and consumer brands, and approximately 50 key partners to improve the health of honey bees in general and specifically around production agriculture. 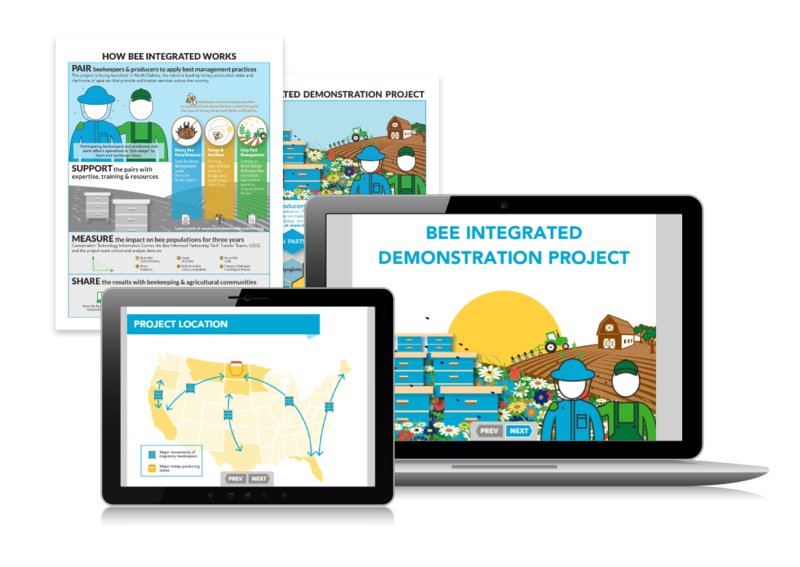 The Bee Integrated Demonstration Project: A new market initiative that pairs beekeepers and producers to showcase a suite of best practices. The multi-year project includes establishing pollinator forage, monitoring and treating Varroa mites, following pollinator protection plans, and utilizing best practices for crop pesticides. For this initiative we developed an interactive online module and overview sheet. 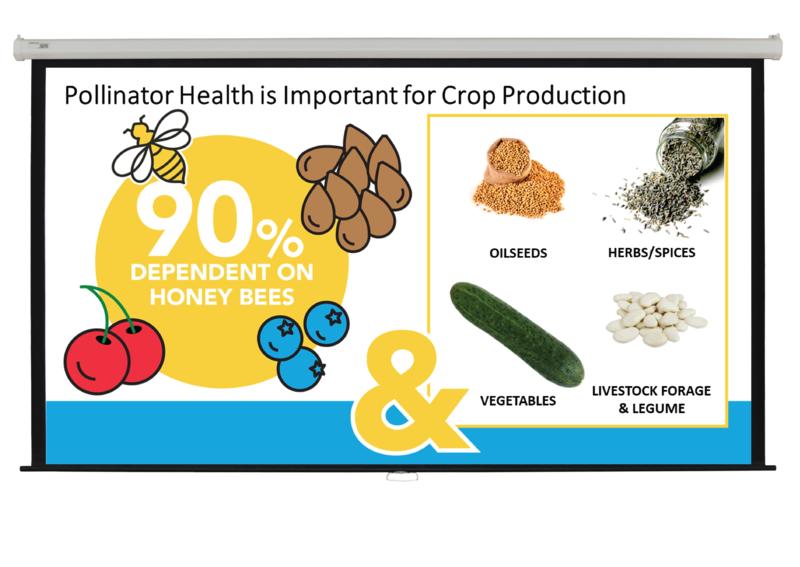 The module can be seen at the Honey Bee Health Coalition (honeybeehealthcoalition.org). Pollinator-Focused Continuing Education: A training module for crop pest consultants and advisers. 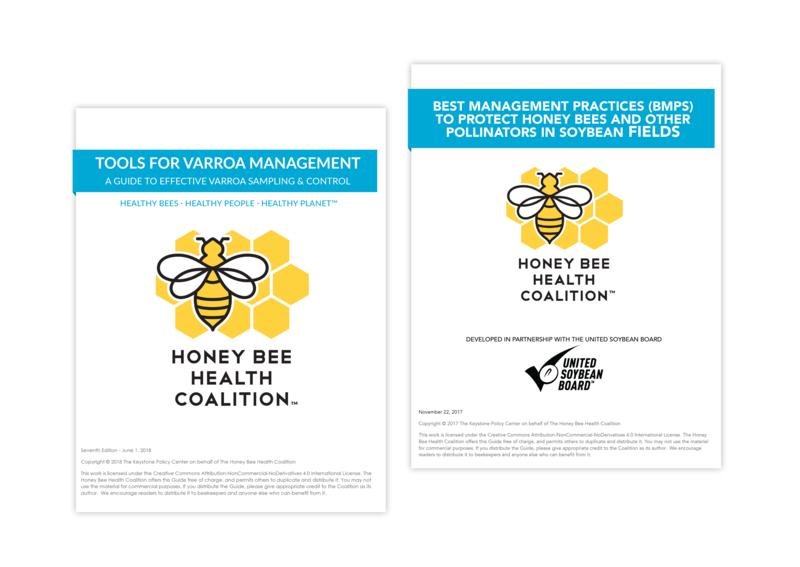 The Tools for Varroa Management Guide: A guide for beekeepers on how to identify and treat a common and impactful bee pest — the Varroa mite. The guide outlines practical, effective methods that beekeepers can use to measure Varroa mite infestations in their hives and select appropriate control methods. The Soybean Best Management Practices Guide: This document presents best management practices — from pre-planting planning to harvest to the use of cover crops, post-harvest — for conserving and promoting the health of pollinators, particularly managed honey bees, in conjunction with soybean production. The recommendations attempt to identify potentially negative impacts of soybean agricultural practices on bees at each stage of soybean production and suggest strategies to mitigate these impacts without negatively affecting farmers’ bottom lines. 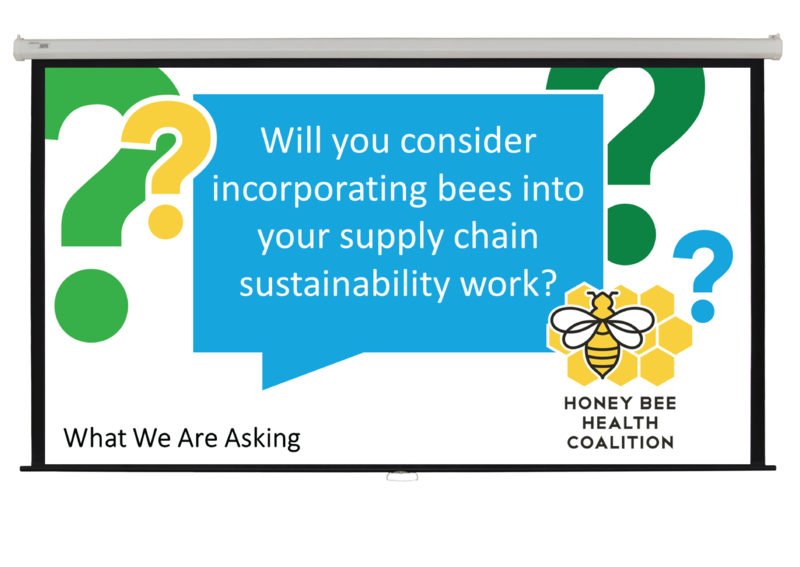 Supply Chain Focused Training: Outreach and communication efforts that highlight the benefits of supply chain companies engaging in pollinator issues. This training introduces the importance of bees in agriculture, the problems facing pollinators, and opportunities for bee health enhancement.